When it comes to making Hospital Indemnity sales, many agents struggle. There are several reasons for this, but we’ve started to notice a pattern: You’re not asking the right questions! Here at Senior Marketing Specialists, we help thousands of agents perfect their appointment strategy. So, believe us when we say there are subtle ways to change your approach that can result in better HIP production. Try adding these 3 simple questions to your repertoire to see that HIP boost you’re hoping for. Most of the time, clients will go ahead and say, “Okay.” This is a non-intrusive way to get your client thinking about a hospital benefit. Throwing out the idea and offering to circle back around at the end of your presentation gives the client time to process the information. When you reach the end of your Medicare Advantage presentation, try bringing HIP up again with another question. From here, you can go into how Hospital Indemnity can best help your client. If you are speaking with a prospect who already has a Medicare Advantage plan, propose HIP like this. As another non-invasive approach, this question shows your client there is additional coverage they could have without pushing a plan on them. 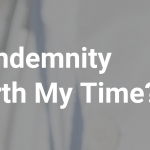 If your client believes they are missing out on possible benefits, they will likely want to learn more about Hospital Indemnity. This question assumes your client already has a Hospital Indemnity plan. The following conversation may play out several different ways, but there are two popular outcomes. 1. Your client has HIP and they tell you how much they pay. From here, you can assess if there are any better HIP options for your client. If they have a solid and affordable plan, don’t push to change it just for a sale. Sometimes it’s best for them to stay where they are. If this happens, see if there is any other way to help them or encourage them to contact you if they are ever interested in changing plans. From here, you can go into the benefits of Hospital Indemnity and show your client the best options for their situation. If you offer, or would like to offer, Hospital Indemnity plans, ask your SMS sales director about the best resources and carriers. Their expertise, paired with these questions, are a great way to dive deep into Hospital Indemnity sales. Don’t forget to check out our Events page for HIP webinars and training! For more questions, contracting, and more, contact us!